The crystal and solution structures of all of the intracellular lipid binding proteins (iLBPs) reveal a common β-barrel framework with only small local perturbations. All existing evidence points to the binding cavity and a poorly delimited ‘portal’ region as defining the function of each family member. The importance of local structure within the cavity appears to be its influence on binding affinity and specificity for the lipid. The portal region appears to be involved in the regulation of ligand exchange. 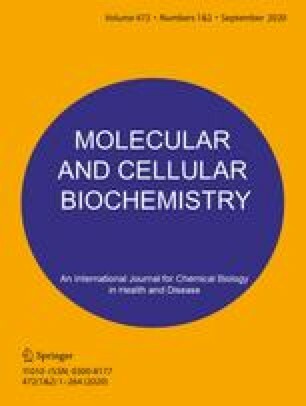 Within the iLBP family, liver fatty acid binding protein or LFABP, has the unique property of binding two fatty acids within its internalized binding cavity rather than the commonly observed stoichiometry of one. Furthermore, LFABP will bind hydrophobic molecules larger than the ligands which will associate with other iLBPs. The crystal structure of LFABP contains two bound oleate molecules and provides the explanation for its unusual stoichiometry. One of the bound fatty acids is completely internalized and has its carboxylate interacting with an arginine and two serines. The second oleate represents an entirely new binding mode with the carboxylate on the surface of LFABP. The two oleates also interact with each other. Because of this interaction and its inner location, it appears the first oleate must be present before the second more external molecule is bound.